HonsterI mean using the in game chat window with a key bound to say_party. It only works if youre in a party with someone. 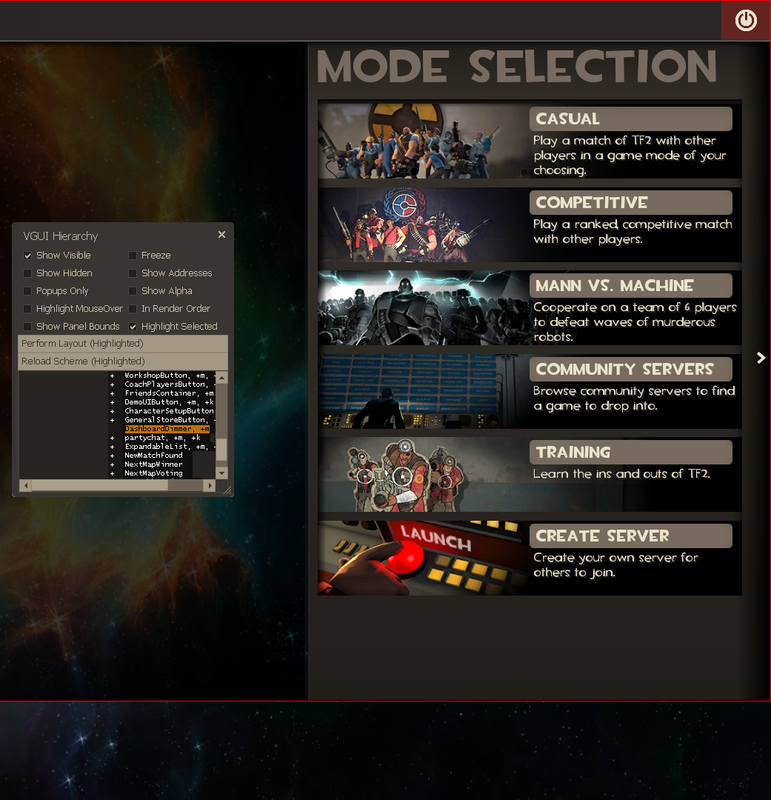 I didnt try using the main menu party chat input so I have no idea if it causes hitches. Edit: I also stutter/hitch when receiving party chats. My game doesn't hitch when sending party chat through the main menu UI chat box for some reason though. That's weird, I don't know what to tell you. I can only say that I don't experience it and I have not received reports of anyone else experiencing it, but I don't get reports of much of anything anyway. HonsterI noticed that about a half a second after entering something into party chat my game hitches. It doesnt happen with default hud, it happens with a fresh unmodified download of 7HUD from github. It seems like the hitch lasts a tiny bit longer on my slightly tweaked version of 7hud than it does on the completely unmodified version. You mean the chat button on the main menu, right? I haven’t experienced any hitches there. Updates for today's patch. Everything should work. The friends list panel on the main menu now reports what game mode and map friends are playing, though it no longer shows your entire online friends list. 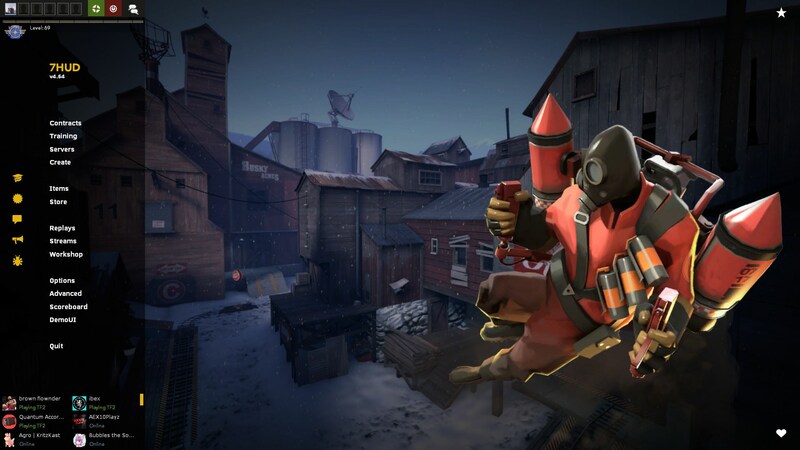 Instead, only those who are currently playing TF2 make the list. Don't know why Valve changed that, but they have. It's not a HUD bug. Noticed an issue with the Frontier Justice crit counter I caused yesterday and ended up spending a few hours tinkering with all the meter counts. Barely even changed anything. Such is HUD editing. Couple of minor fixes. Fun fact: I released the original 7HUD 5 years ago this month. Time flies. Just cleaning up a few things. Found the courage to rebuild some of my lost data and do the friends list integration I've been needing to do. You could just set your resolution and fullscreen using launch options. Valve fixed the Gas Passer and Phlog meters. Hooray. There are still a couple of outstanding bugs with this release, but one of them is a Valve issue that I cannot resolve without a fix from them. This bug has the Gas Passer effect meter overlapping the Phlogistinator effect meter. The other problem is the black overlay that appears when you click the "find game" button to dim the screen while you select a game mode. It doesn't stretch all the way to the bottom of the screen. I can't find the file to control that, so it's not fixed yet.